Plex has announced the official release of its Plex for Xbox One, the first updated personal media app for the next-gen consoles. In addition, there is a a Plex for Xbox 360, although it is not available today but should be "soon." Plex is software that allows the streaming of videos, music and photos to a wide range of devices and is compatible with Mac, Windows 8, Linux, iOS, Android, Windows Phone, Xbox One, Xbox 360, Roku, Amazon Fire TV, Chromecast, many popular NAS devices, and others. Plex CPO Scott Olechowski says the Xbox One platform was the most requested by fans of the service: "Plex for Xbox is an exciting milestone in our continued effort to help people enjoy their personal media, wherever they happen to keep it, on all of their screens. It also happens to be the platform most requested by Plex enthusiasts, and we have worked hard to design an experience that will delight them and Xbox fans alike." For current Plex Pass subscribers, the apps are free but they will be available to non-subscribers for a one-time purchase price, likely at $9.99. Your Plex Media Server makes your media library look beautiful by automatically collecting and displaying artwork, content ratings, plot summaries, and more for your media. Now, Plex for Xbox provides a new experience in your living room with a bold presentation that feels right at home on Xbox. Plex for Xbox introduces new media discovery capabilities to the Plex experience. Plex users will now be presented with customized categories of content based on viewing habits. These customized categories will make it easy to discover new content, enjoy similar content (for example, based on genre or cast) and rediscover content that has not been viewed for a while. Plex for Xbox also includes fan favorites like On Deck, which keeps track of shows you're currently watching, allows you to easily continue watching where you left off, and automatically suggests next episodes. 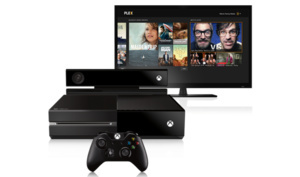 Plex for Xbox, combined with Kinect, supports voice and gesture control, allowing users to navigate their Plex media library, view content, and control playback without picking up an Xbox controller.